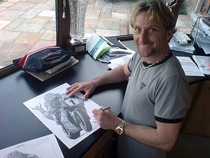 Billy's prints have free UK post but use 'Airsure' or 'International Signed For' for international orders so chose UK or international below each print to purchase. If an international buyer wishes to purchase more than one print then please contact Billy with your requirements and one invoice with one International shipping fee will be sent to you. 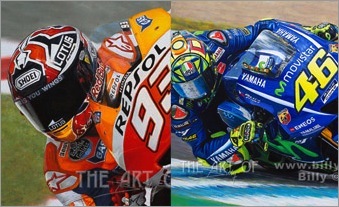 Scroll down to view and click on the picture or title link to visit the individual motorcycle fine art print page. 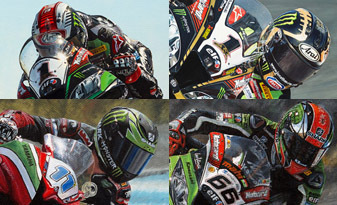 Above is the unique motorcycle art of Billy which would make great motorcycle biker gifts or become part of your personal motorcycle art collection.